Fruition is a Augusto daughter and a Mr. President grandaughter,and one of Magical Farms best producers. She is a color champion and producer of many champions. Jericho Genetics comes to Kentucky!!! We were extremely excited that we were able to purchase Future from Magical Farms fall of 2006. Future is a Jericho son and one of the few offspring ever released for sale. 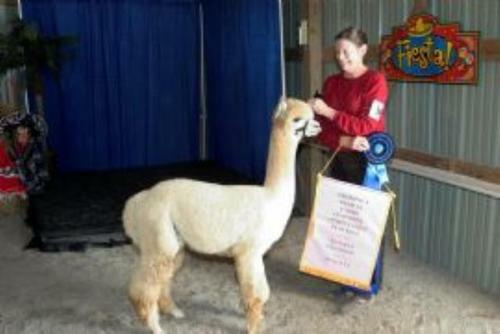 Jericho is a restricted herdsire with only 5 breedings allowed per year at the fee of $7500. 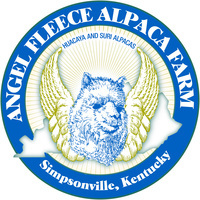 Future has a highly advanced high-frequency crimped fleece with both density and fineness. Future's 1st two crias were born in May 2008, with several more due this fall (2008)and more in the spring of 2009. 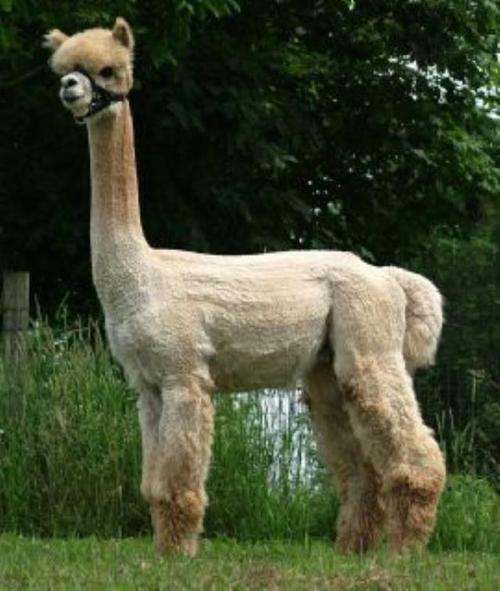 Future's crias have his extreme denseness, fineness, high-frequency crimp fleece, with exceptional brightness,conformation, and presence. Contact us to schedule your breeding.